Brian is an amateur historian who enjoys researching and writing about people, events, and places that may not be widely known. 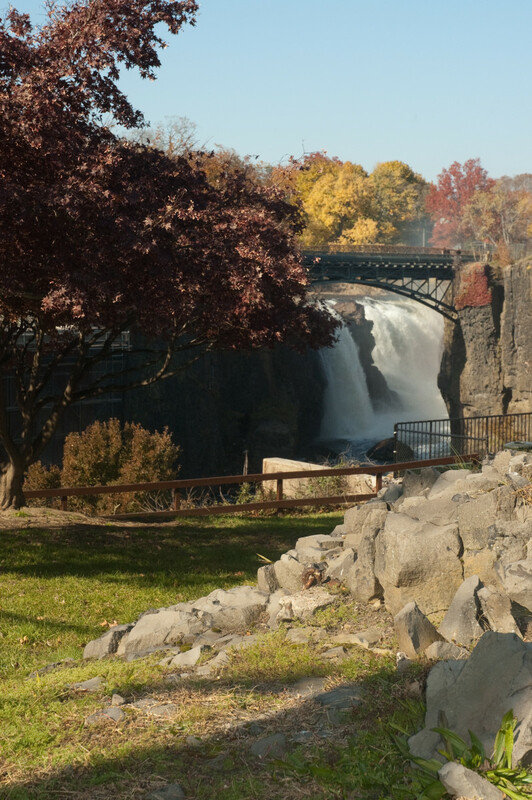 The Great Falls of the Passaic River, with the surrounding historic mill area in Paterson, New Jersey, was designated on November 7, 2011, as America’s 45th National Historical Park, the 397th unit of the National Park System. A spectacular natural wonder, the Great Falls also played a key role in American history as the centerpiece of the first planned industrial center in the U.S. 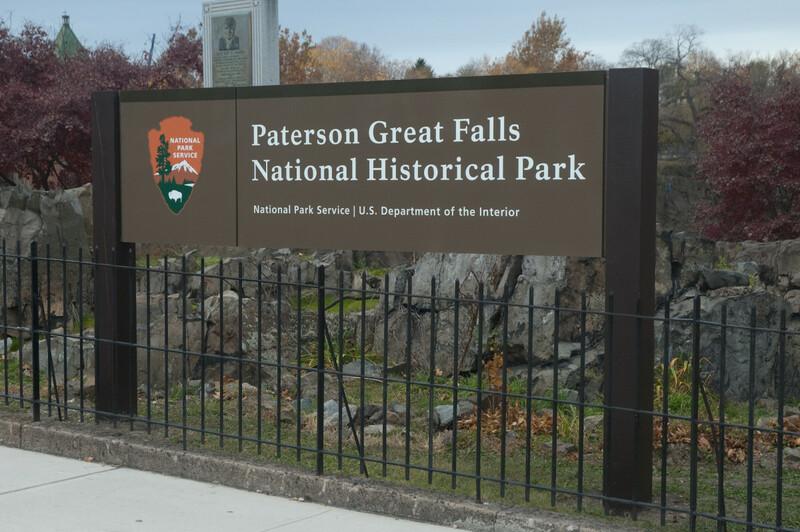 If you live in or are visiting New Jersey or the New York metropolitan area, Paterson Great Falls National Historical Park is well worth a visit. The Great Falls is one of the largest waterfalls in the United States, measuring about 77 feet (23 meters) high and 280 feet (85 meters) wide. Every day, 2 billion gallons (more than 7.5 billion liters) of water pour over the falls — second in the eastern U.S. only to Niagara Falls. 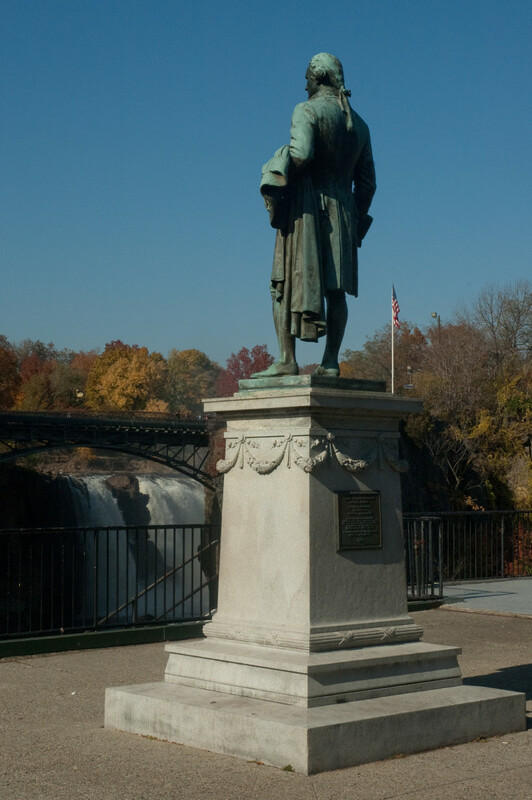 The falls is located near the northernmost point of the circuitous Passaic River, which flows for 80 miles (129 kilometers) from southern Morris County through a varied landscape of marshlands, forests, suburbs, and industrialized urban areas to the Newark Bay. 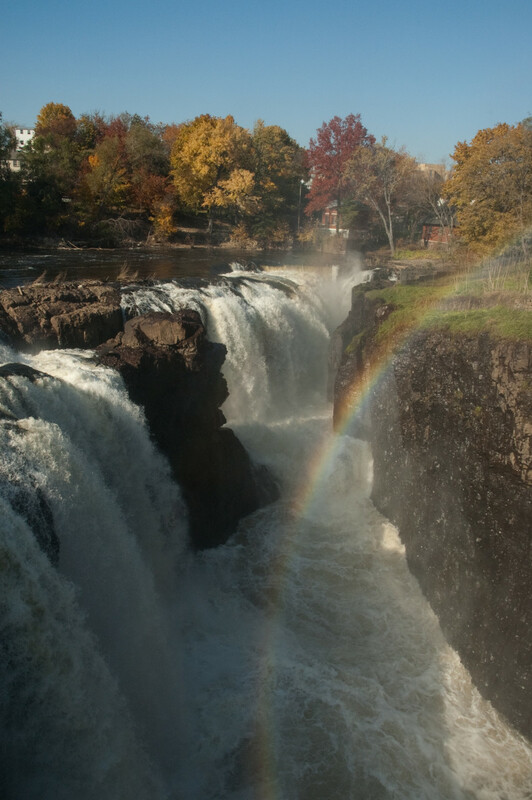 Geologists believe that the Great Falls, as well as the modern Passaic River itself, was formed about 13,000 years ago, at the end of the last Ice Age. Receding glaciers changed the course of the river and carved out the falls, resulting in a dramatic cascade that tumbles over a ridge of volcanic basalt into the gorge and valley below. 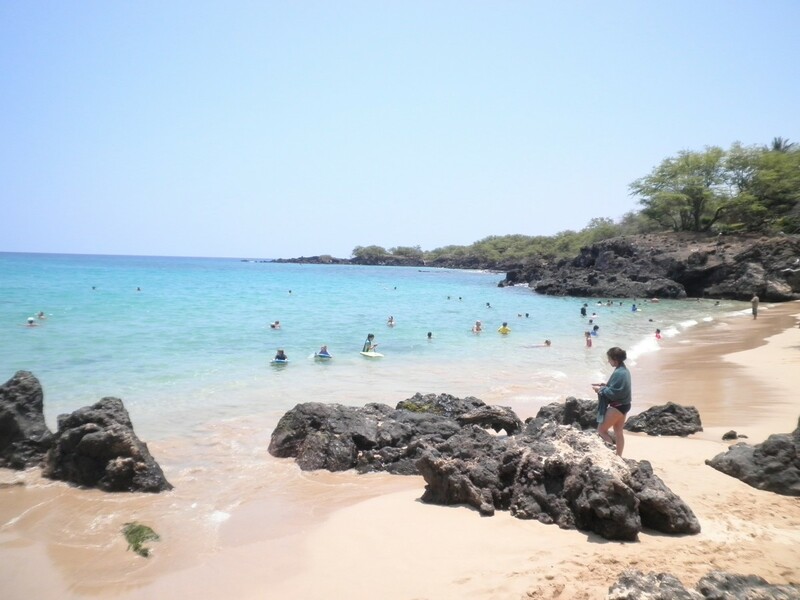 Dutch traders and missionaries began visiting the area near the falls In the late 1670s. One visitor in 1680 described the falls as “a sight to be seen in order to observe the power and wonder of God.” By the end of the 17th century, knowledge of this natural wonder had become widespread, and the falls began to attract numerous visitors. 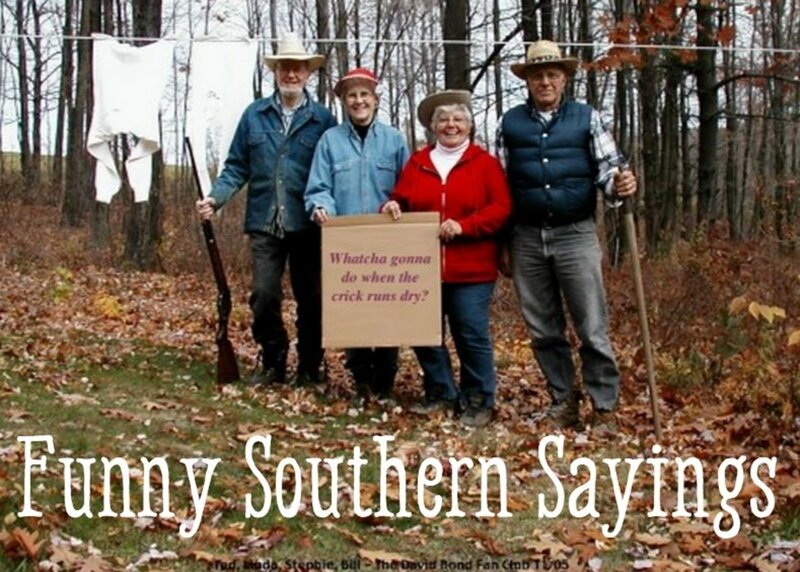 Meanwhile, settlers were establishing farms in the area. 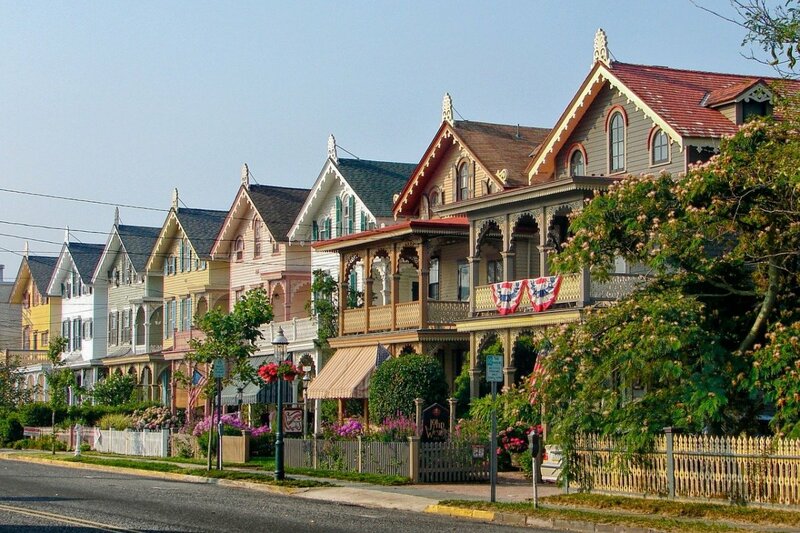 In 1685 fourteen Dutch settlers received formal patents to the land in what came to be Acquackanonk Township. Over time, as the land was passed on to the settlers’ descendants in smaller parcels, the economy of the area became more diversified: some residents became weavers, carpenters, and stonemasons, or operated mills, distilleries, or stores. But the area remained rural and Dutch until the late 18th century. 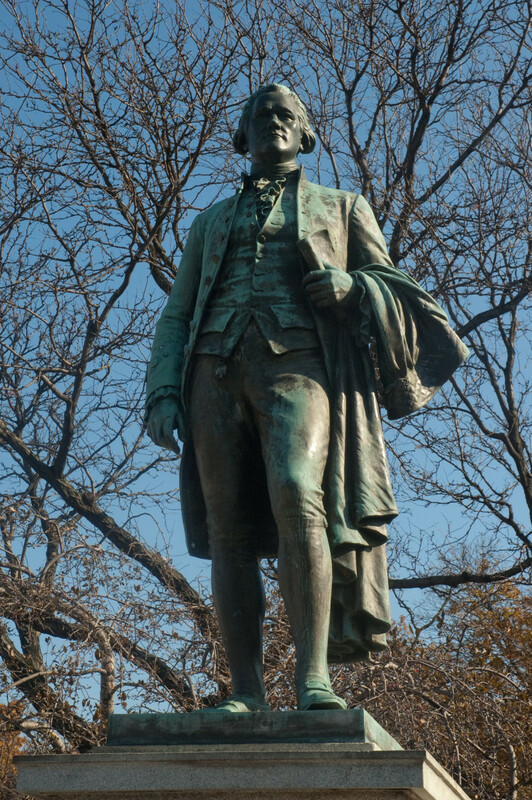 The transformation of the area surrounding the Great Falls into an industrial center can be attributed to the vision and determination of one man: Alexander Hamilton, the leader of the Federalist Party and the first U.S. Secretary of the Treasury. Hamilton had seen the falls as early as 1788 and envisioned its usefulness as a source of industrial power. 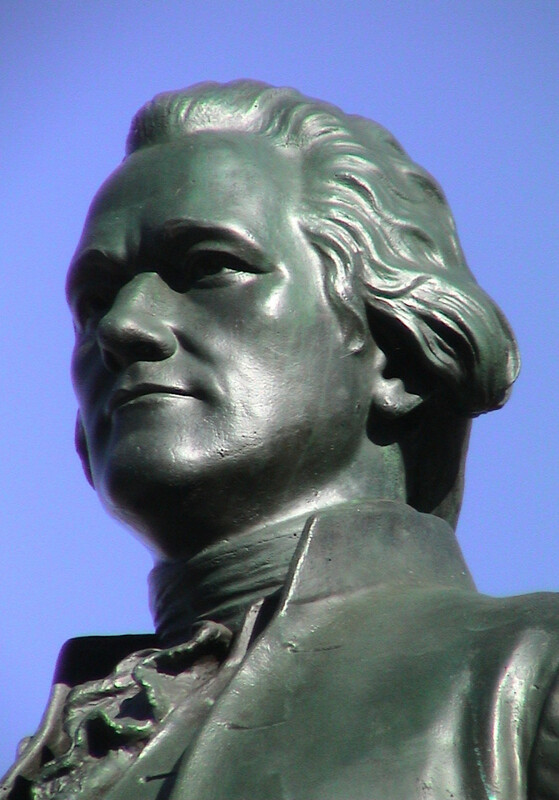 Hamilton believed that the United States could be truly independent only if it reduced its reliance on European manufacturing and developed its own domestic industry. In 1791, he submitted a “Report on Manufactures” to Congress in which he proposed economic policies, including moderate tariffs and subsidies to industry, that he believed would spur the growth of manufacturing in the new nation. 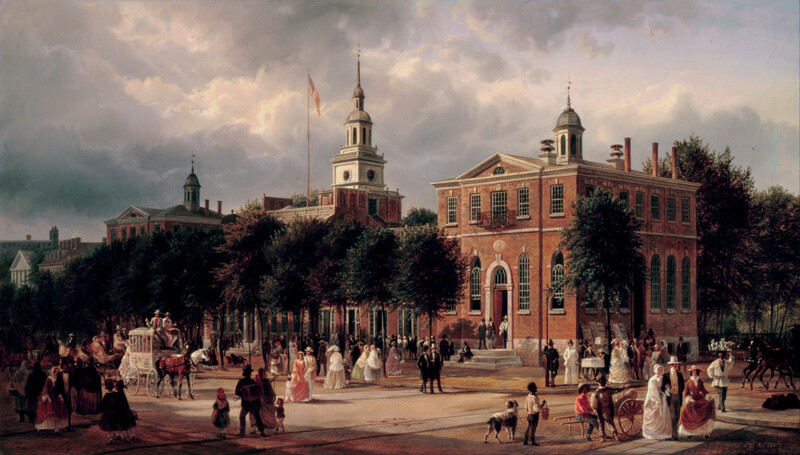 In the same year, Hamilton also worked with a group of investors to set up a corporation, the Society for the Establishment of Useful Manufactures (S.U.M. ), to plan and build an industrial town for the manufacturing of cotton textiles. New Jersey Governor William Paterson approved S.U.M.’s charter, and at Hamilton’s recommendation, S.U.M. purchased some 700 acres around the Great Falls, including the river bed above and below the falls, for the location of this new public-private venture. S.U.M.’s charter provided for the incorporation of its land as a municipality. The directors of S.U.M. decided to name the new town “Paterson” after the governor, but due to legislative inaction the area remained part of Acquackanonk until 1831, when Paterson was incorporated as a separate township. S.U.M. built mills along the river and a system of raceways and water wheels to power them. But textile manufacturing did not flourish under S.U.M.’s management. By 1796 S.U.M. ceased its textile operations. It continued to control the rights to the water of the falls, and it began renting space in its mills to independent manufacturers. Growth was slow at first, but the British embargo of 1807 and the War of 1812 led to a renewed emphasis on American manufacturing, and more entrepreneurs opened mills around the falls. Unfortunately, the war was followed by a depression, and many of these mills closed. But by the 1820s, the Paterson economy was booming again, and the number of mills doubled by the early 1830s. The mills attracted many immigrant workers, increasing Paterson’s population to more than 9,000 by 1832. The water of the Great Falls continued to provide power to industry throughout the 19th century, as the raceway system was expanded. The falls powered not only textile manufacturing, but other industries as well. In 1835, Samuel Colt built a gun mill near the falls. The next year he received a patent for the first practical repeating revolver, which he manufactured in the mill until 1843. Locomotive manufacturing came to Paterson in 1831, when Thomas Rogers formed what was to become Rogers Locomotive and Machine Works. Over the next 70 years, Rogers’ company built more than 6,000 steam locomotives — 80 percent of the locomotives manufactured in the U.S. — including The General of Civil War fame and Union Pacific’s Engine No. 119, which was featured in the “Golden Spike” ceremony that marked the completion of the first transcontinental railroad in 1869. 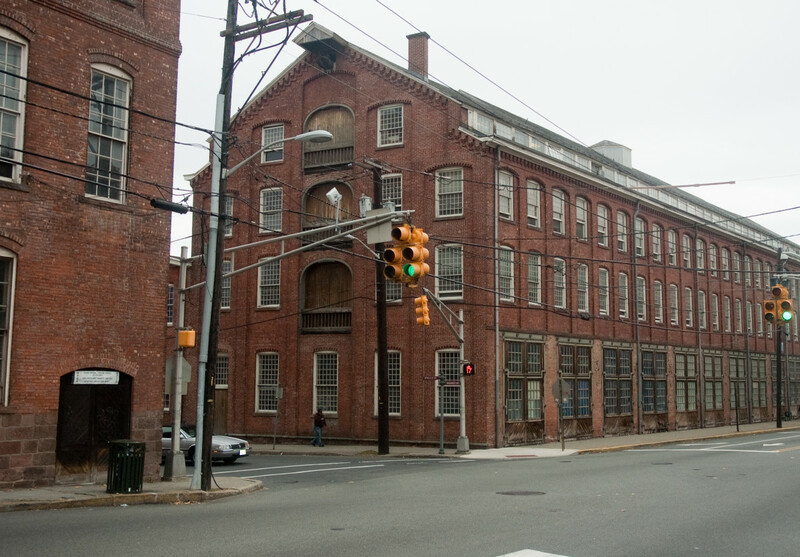 Paterson’s greatest industrial renown came from the silk production industry. In the second half of the 19th century, Paterson became known as “Silk City” and “The Lyons of America” for its dominant role in silk production. In the 1840s, John Ryle, an immigrant silk weaver from England, started the first successful silk mill in Paterson. Many others followed, fabricating silk ribbons, yard goods, draperies, upholstery silk, and many other silk products. 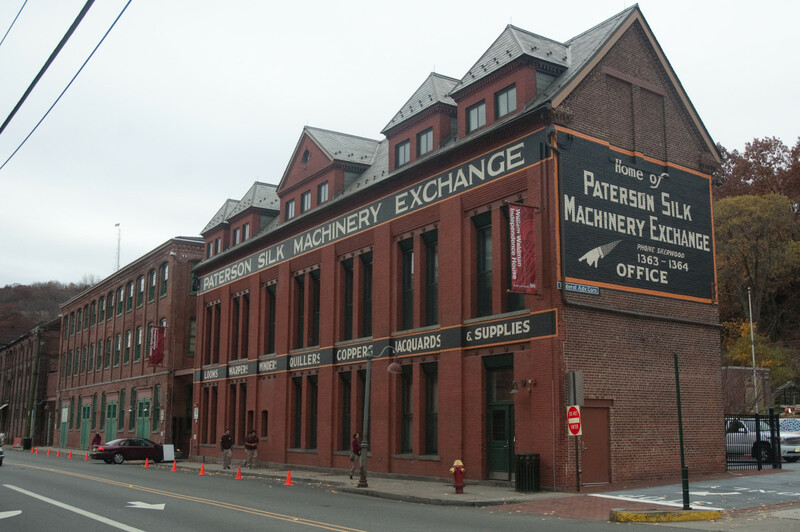 By 1875 there were 32 silk manufacturing companies and 5 silk dyeing shops in Paterson. 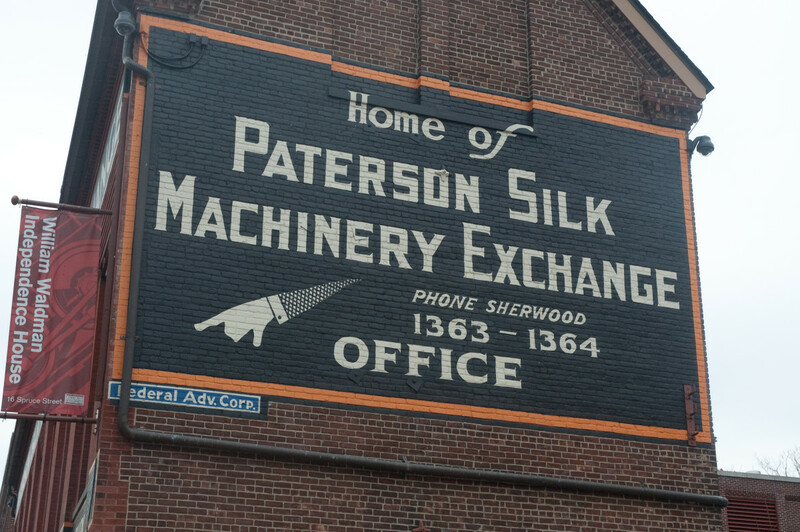 By 1900 over 20,000 workers were employed in Paterson’s silk industry. Central to the success of Paterson’s silk mills and other manufacturing enterprises was the readily available water of the Passaic River and the water power supplied by the Great Falls and S.U.M.’s raceways. Paterson also enjoyed the advantage of proximity to New York suppliers and markets, with convenient transportation by rail, water (the Morris Canal and the river itself), and roads. Although Paterson’s silk industry continued to flourish in the early years of the 20th century, decline was on the horizon. Competing silk manufacturers in Pennsylvania and elsewhere began taking a larger share of the business. Labor unrest escalated, culminating in the notorious 1913 Paterson silk workers’ strike that came to be led by the radical Industrial Workers of the World and shut down the silk mills for six months. And finally, beginning in the 1920s, rayon “artificial silk” began to replace silk. Rayon gained popularity rapidly, and the demand for silk plummeted. 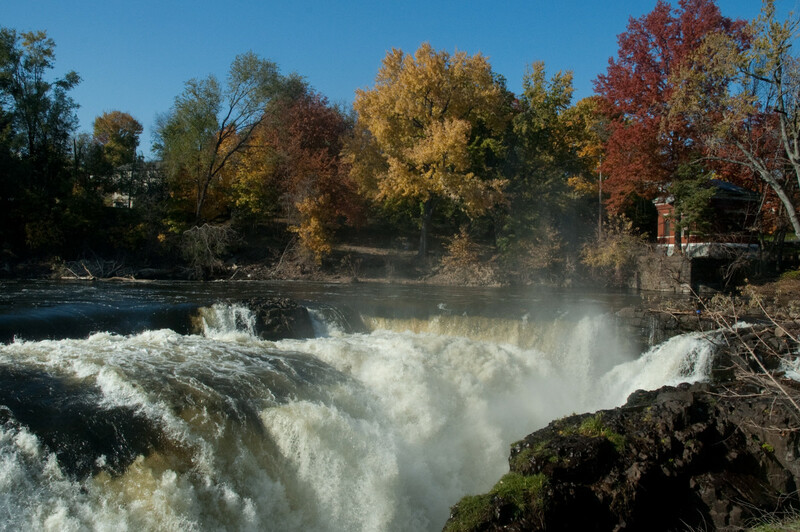 Although the Great Falls became identified with industry, it remained a popular site for tourists and local visitors because of its natural, dramatic beauty. In 1827, Timothy Crane, at that time the owner of the property around the falls, built a wooden bridge over the falls, which he named the “Clinton Bridge” after Governor DeWitt Clinton of New York. Crane also built the “Cottage on the Cliff” on the north side of the falls, where visitors could buy refreshments. During the festivities marking the completion of Crane's bridge, a millworker named Sam Patch stole the show by jumping from the top of the falls to the water below. 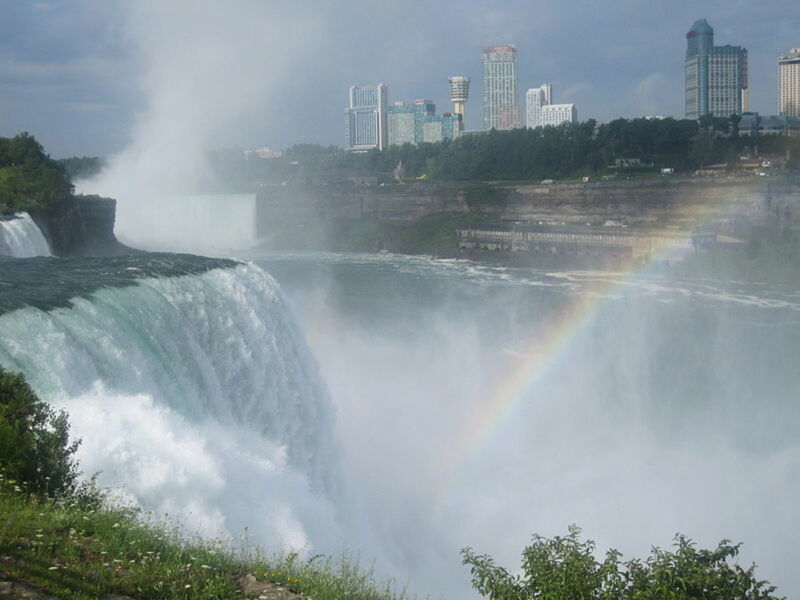 Patch became a jumping sensation and an American celebrity, successfully jumping Niagara Falls as well, before perishing in a jump over the Genesee Falls in Rochester, New York, in 1829. Two subsequent wooden bridges were built over the falls in the next several decades. John Ryle, the silk magnate, built the first open, iron bridge over the falls in 1868. A longer iron bridge replaced it in 1888 and remained in place for many years, although pedestrians were barred from the bridge for a number of years beginning in World War I. The current pedestrian bridge, built in the mid-1980s, is the eighth bridge to span the falls. It provides a spectacular, close-up view of the rushing water. The bridge also played a role in HBO’s hit series The Sopranos. 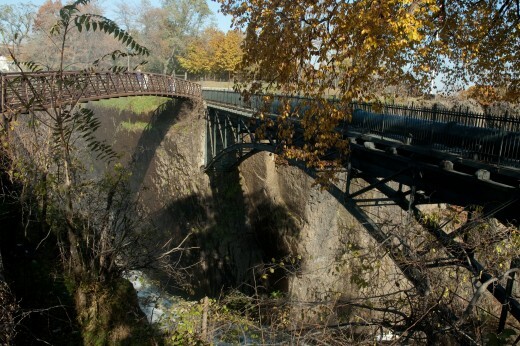 In Pax Soprana (first season episode 6), Uncle Junior Soprano learns that soldier Rusty Irish sold drugs to the grandson of one of Junior’s friends, leading the boy to kill himself at the bridge above the Great Falls. In retaliation, Junior has two of his men throw Irish off the bridge. 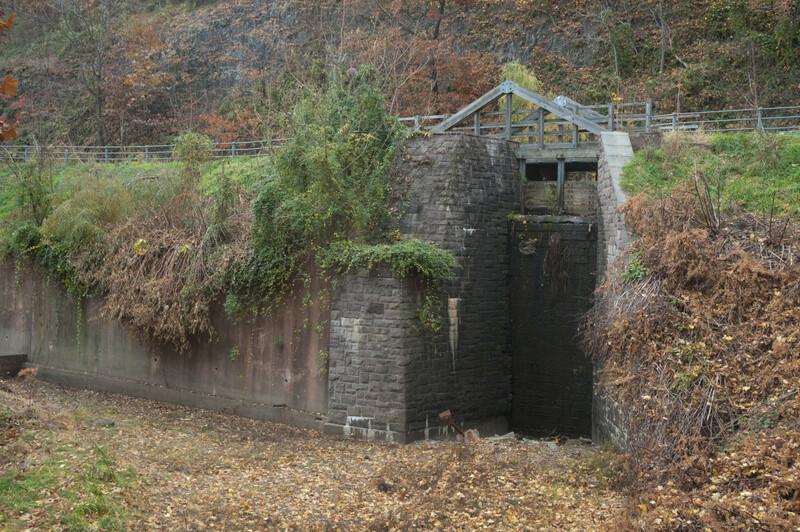 As the population of Paterson and northern New Jersey grew, demands on the Passaic River water supply increased and water shortages began to affect Paterson’s mills. In the early 1900s, S.U.M. decided to convert the mechanical raceway and water wheel power system of the falls to electric power. 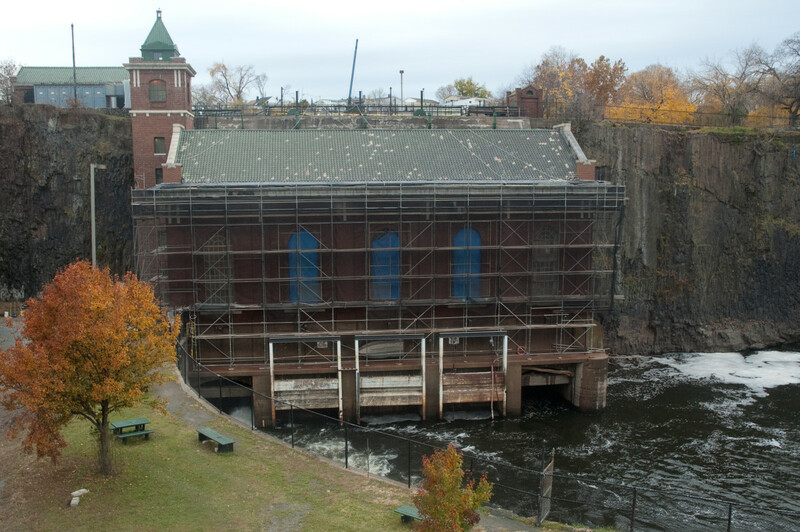 In 1914 it opened a hydroelectric power plant at the falls, designed by Thomas Edison’s electric company. It also built an auxiliary coal-powered steam plant. The hydroelectric plant was decommissioned in 1969 but was rehabilitated and recommissioned in 1986. The plant is now operated by Algonquin Power & Utilities Corporation of Ontario, which sells all electric power generated by the plant to local New Jersey utility PSE&G. Great Falls National Historical Park is located about 20 miles from midtown Manhattan and is easily accessible from all points via U.S. Interstate 80, the Garden State Parkway, and other local roads and highways. Free parking is available on both sides of the falls, at the Great Falls Overlook parking area on the south side of the falls and at Mary Ellen Kramer Park on the north. The pedestrian footbridge, which should not be missed, is directly accessible from just outside the Overlook parking area on Wayne Avenue, as well as from the north side. The National Park Service does not currently offer guided tours of the falls or the historic mill area, but it is easy to see the falls from numerous vantage points and to walk around the historic district. I recommend the Mill Mile self-guided walking tour produced by the Hamilton Partnership for Paterson in collaboration with the National Park Service. Mill Mill also offers a free audio tour app for both iOS and Android devices. 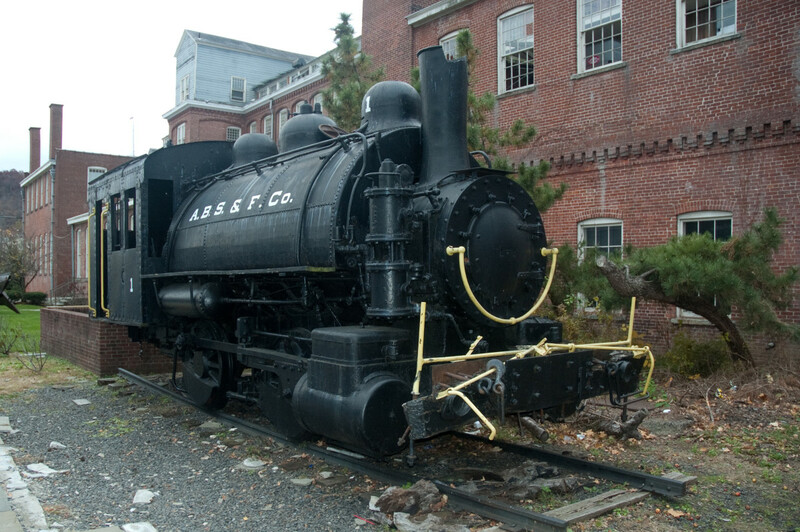 The Paterson Museum, a partner site of the National Park Service, has exhibits on Paterson’s industrial history, including steam locomotives, Colt revolvers, textile machinery, and more. The museum is located near the falls at the corner of Spruce and Market streets, one block from the Overlook parking area. 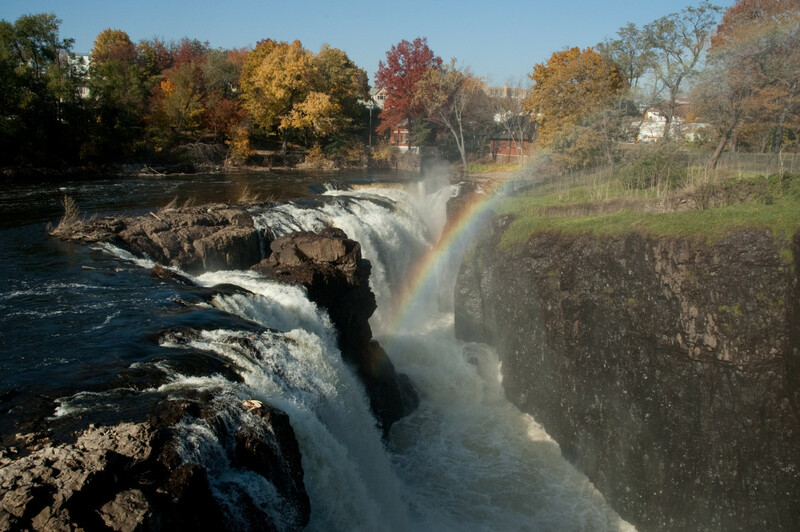 The official NPS website of Paterson Great Falls National Historical Park. Information about Great Falls history and preservation efforts. Thank you for your comment, manolomongeloes. I hope you do get an opportunity to visit. If you do, let me know what you think of it. What a naturally beautiful place. 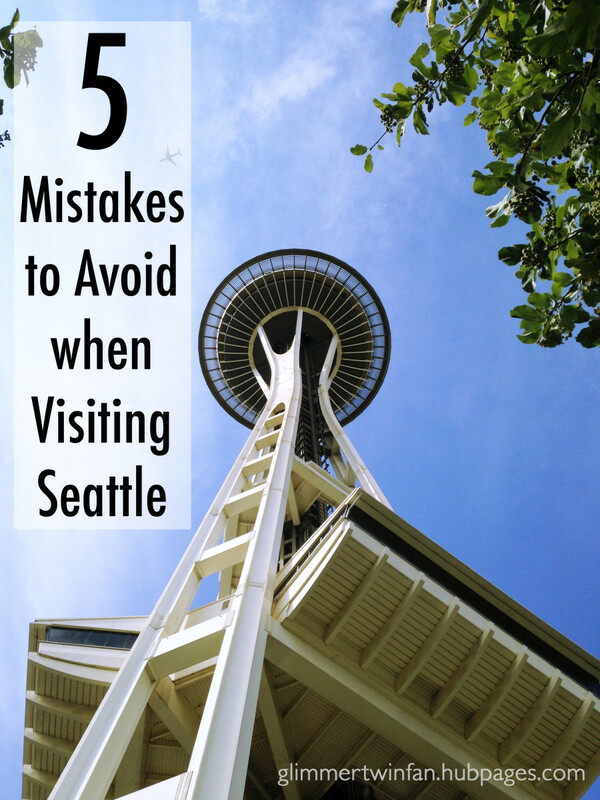 Fantastic article, you've persuaded me to make a visit! I lived in Paterson for a few years in the 1960s and also worked in the Paterson Parks Dept. one summer. 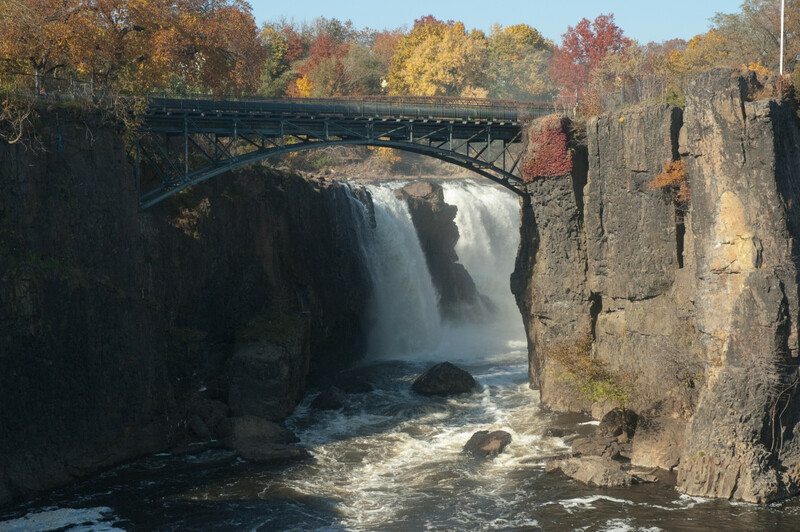 It's great to learn that the Paterson Great Falls is now a national historical park. Your photos are stunning and I love reading the history of the area. Eddy, thanks so much for your visit and your vote! The Great Falls is really spectacular, and I find it especially interesting given its industrial location and history. What a brilliant and interesting hub which I vote up plus bookmark. Thanks, bizhelp. 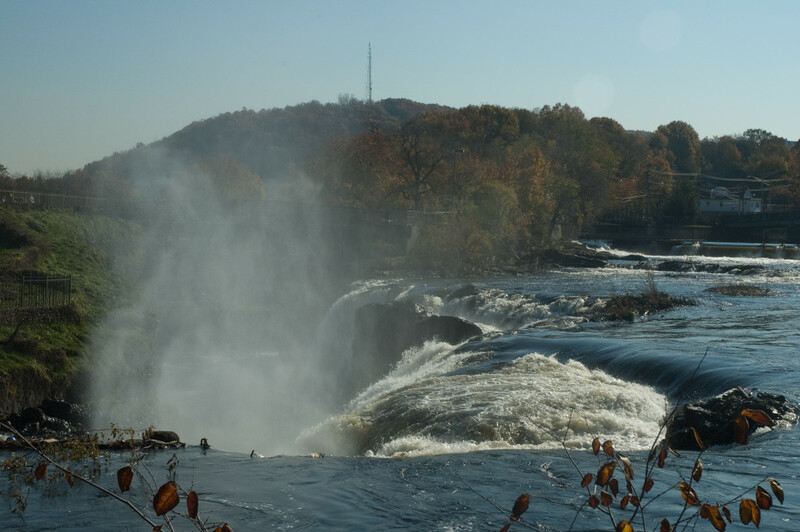 Paterson has suffered over the years as so many other cities have, but there are still gems to be found there, and the Great Falls is certainly one of them! 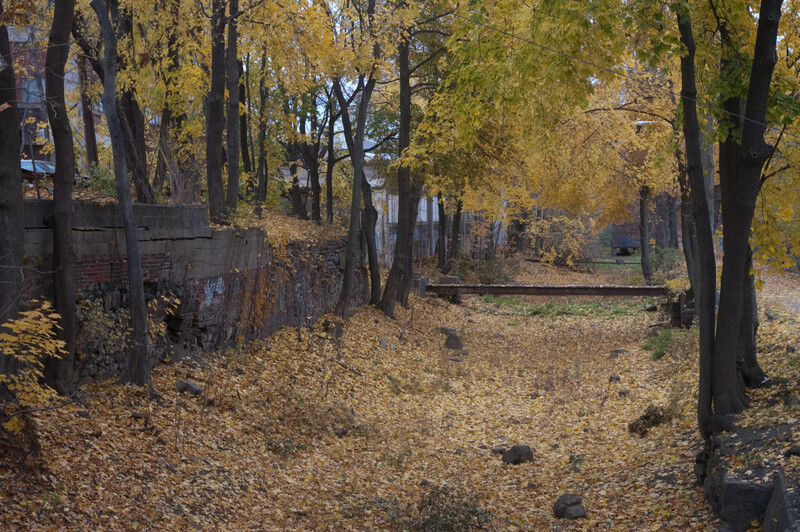 Wow, I never knew Paterson was that scenic....great pics! John - thanks for reading and commenting. That's a great story about Sam Braen and the gambling debt. I hope you can find more information and establish that link. Saw this link on Facebook while congratulting your parent's on their 70th anniversary. Coincidentally, I just spent hours last month researching "Valley of the Rocks". I was looking for the relative link between Sam Braen and my grandfather. My mother is Clara Braen (veenstra), her father John H Braen, his father Aaron Braen, his father John Charles Braen, his father Aart Braen. Sam Brean's first quarry was Valley of the Rocks. He was working in locomotive factory at the time and he was given Valley of the Rocks as payment for a gambling debt owed to him. I have not yet found the relative link as records for Sam Braen and his son Abram Braen were not easily googled for information. Thanks, Gail. The Great Falls really is beautiful, and the history of the area is quite fascinating -- I've just scratched the surface here. 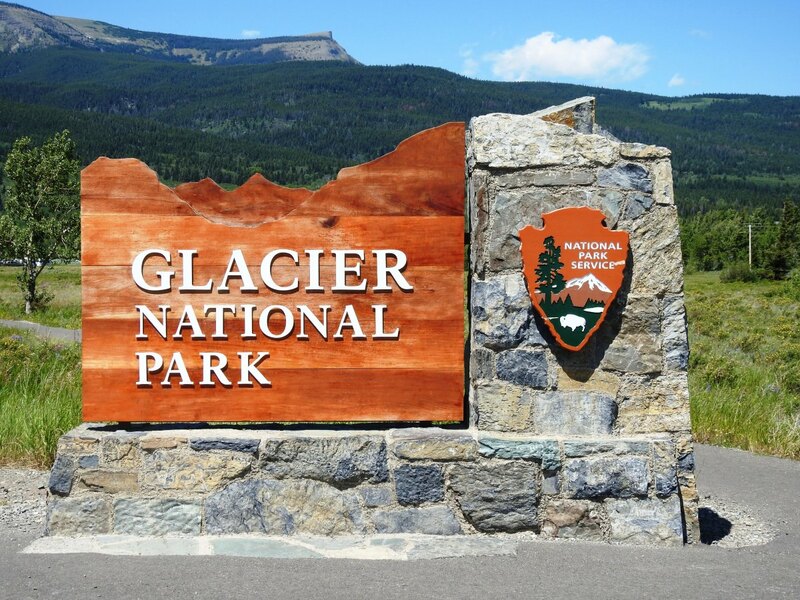 I am looking forward to seeing what the National Park Service will do with the area now that it's in charge. Wow! Great hub and I love the amazing pictures! I have only been in that area a couple of times, but I obviously missed the best part. Thanks so much, Dexter! I especially appreciate your compliment on the photos, coming from such an accomplished photographer. Hi Brian! This is a fantastically interesting hub with great history and outstanding pictures. Voted up, up and away! Hi Judy. A Chinese silk factory sounds even more interesting! I'd like to hear more about that. Thanks for reading! This is so interesting, Brian. Need to have another reunion to get us back to see the park. I was in China at a silk factory a couple of weeks ago and I was remembering going to school in the middle of the mills in Paterson. Remember the smells of the factories quite well. Thanks for your article. jvhirniak - It really is an impressive waterfall, and the industrial history of the area is very interesting. I hope you'll get a chance to visit. Thanks for reading! Great hub and photos! I will have to visit this place next time I'm in the area. cheers! Thanks, Cheryl. Nice to hear from you. I'm curious to see what the National Park Service will do with this now that they're in charge. I know they have a limited budget, but I'm hopeful. Nice article Brian. I remember seeing the falls once when I was living in New Jersey. We don't get back to NJ often, but after reading the article, would be interested in seeing the site again. Thank you. mderitter, thanks for reading and commenting. I'm glad you enjoyed the article. A couple of my grandparents and others from that generation of my family also worked in the silk mills. And I'll mention your message to Roger, too. Thanks! I loved this article. My father used to swim at the base of the falls, and two of my grandparents used to work in the silk mills in Paterson. So glad to see the area has become a national historical park. By the way, your brother Roger was in my class at Eastern Christian. Thanks, acc12. I've lived within a few miles of the falls most of my life. I'll be moving out of New Jersey next year, so I thought I'd memorialize one of my favorite local spots while I'm still nearby. Great hub. I love your photos of the falls, especially the first photo with the rocks. 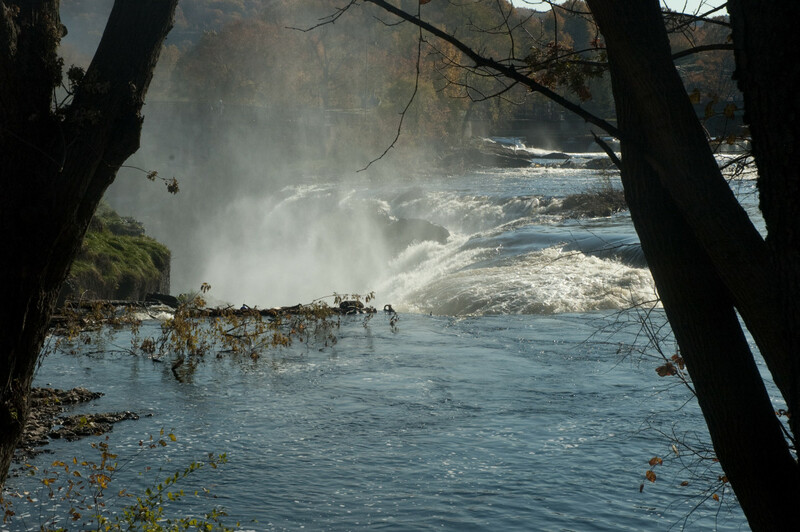 I grew up about 12 miles from the Paterson Falls; it was a little like going home. Thorough history as well.